Bradley Dale Womack, age 57 of Concord, Arkansas died Monday, February 27th after a courageous bout with cancer. Brad was born on November 24, 1959 in Batesville, Arkansas to Wendal Dale Womack and Betty DeVere (Womack) Fulmer. Brad's career included many years in the oil and gas services industry as a senior operator with Dresser Atlas in Texas and Alaska. Working with complex systems, radiation sources and instruments, he established himself as an experienced leader in providing land and offshore well intervention services, most recently with Schlumberger based in Houston. He also spent several years farming with his father while raising a family in Concord. A gifted athlete, Brad participated in a wide spectrum of team sports growing up in Russellville, Arkansas. Brad was a standout running back for the Russellville Cyclones, earning all-conference and all-state honors in 1977-78, his senior year. He was also inducted into the Russellville High School Athletic Hall of Fame prior to earning a full scholarship to the University of Kansas of the Big Eight Conference. He was an accomplished hunter and fisherman and truly enjoyed teaching his children and nephews to "do it this way!" Although he gained popularity for running people over on the football field, off the field he would be the first to pick someone up or offer help when they needed it. Fiercely loyal and unassuming, Brad accumulated many friendships from all walks of life. In his last few weeks, close friends and family were by his side, bringing comfort, a lot of laughter, and highly-embellished tales. 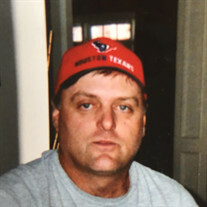 He was preceded in death by his step-father and favorite fishing buddy Vernon "Oz" Fulmer, Jr.
Brad is survived by his son Chris Womack (Heather) and grandchildren Kaitlyn, Austin and Jaxon, and step-son Chas Bale (Meredyth) and grandsons Maddox and Oliver; sister Wendy Womack See and nephews Parker and Bradley See; sister Jodie Womack James (Charlie); father Wendal Womack (Linda) and mother DeVere Fulmer. Tributes may be made online with Willis Funeral Services in Batesville, Arkansas. A celebration of life gathering is planned for a later time, and in lieu of flowers, memorials may be made to the Russellville Football Booster Club, P.O. Box 362, Russellville, AR 72811.